Build is a funny thing. It’s usually a combination of a few things for me: durability, aesthetic, and feel. 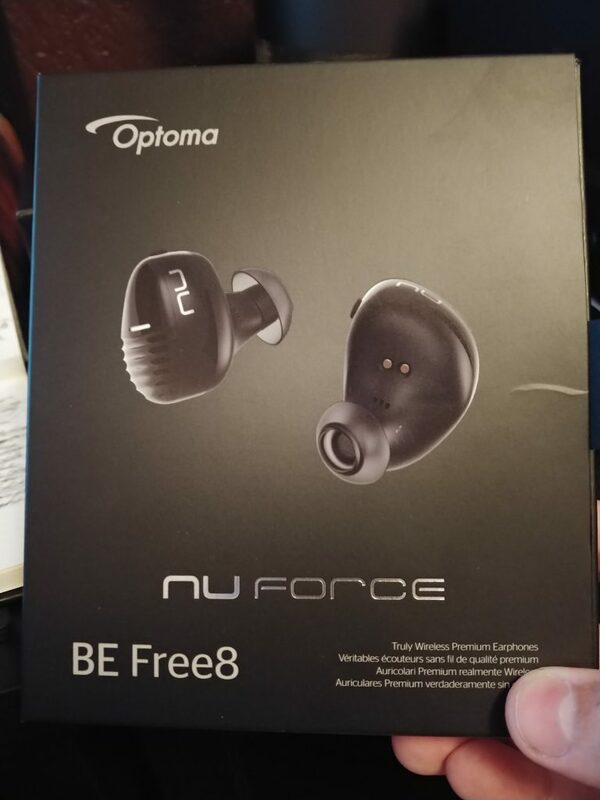 Optoma’s NuForce BE Free 8 (what a mouthful) demonstrates rather well how a device can be great in a couple of those subcategories, but receive low marks in others. 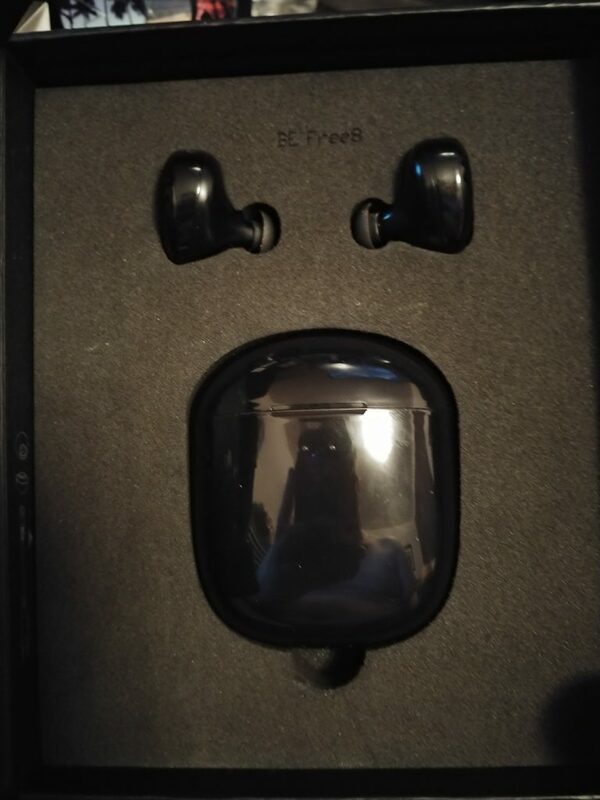 With an Ingress rating of IPX5, and a quality hard-plastic shell, the BE Free 8s are very durable, with a secure fit considering the buds only use your ear canal. Aesthetically, though, the glossy black finish that’s supposed to come across as classy just ends up looking like faux luxury. It gathers a small army of fingerprints in a matter of seconds – especially on the smooth, contours of the charging case – and the case itself is just a bit too big to fit comfortably in a front pocket. That case is built well though, with a lid that snaps open and closed with ease and purpose. 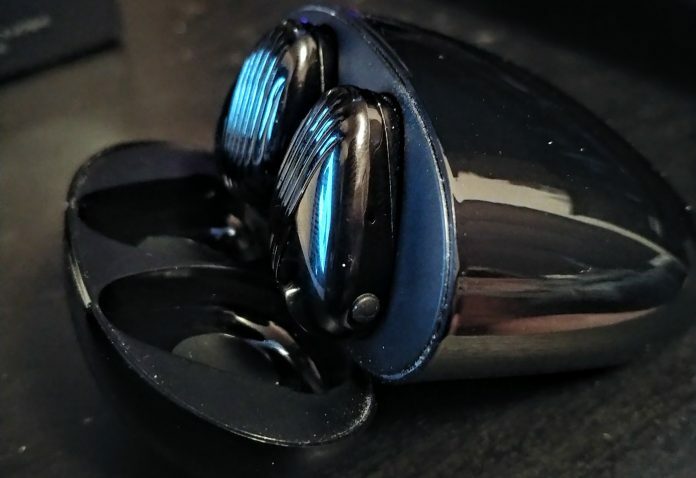 The buds fit snugly into the inner frame and while I personally would have preferred a slightly stronger magnetic connection, the connection that is there holds it gently but securely. Two sets of LEDs make it easy to tell the power levels of both the buds and the case with ease, at-a-glance. Unfortunately, the BE Free 8s (and most similar products) use a MicroUSB port for charging, rather than the newer, more versatile Type-C port. The sooner these manufacturers realize that a newer, better standard makes their products more appealing to buyers, the better. The primary challenge with this first generation of truly wireless Bluetooth earphones is striking a balance between sound quality and portability. Optoma’s NuForce BE Free 8 is no exception: while the sound clarity is nice and crisp for such a small profile, the drivers contained within just can’t pump enough bass to make a truly robust listening experience. The result is an almost tinny quality to the sound, despite advertising “deep, explosive bass.” That’s not to say that these are poor quality earphones, or that using them is not entertaining – far from it – the technology just hasn’t quite matured yet. Connection-wise, the BE Free 8 is a mixed bag: pairing is ridiculously easy, and the connection between the two earbuds is painless and stable, but the connection between buds and phone is prone to drop connection just for a split second at any sudden movements – unfortunately, another limitation truly wireless Bluetooth earbuds right now. 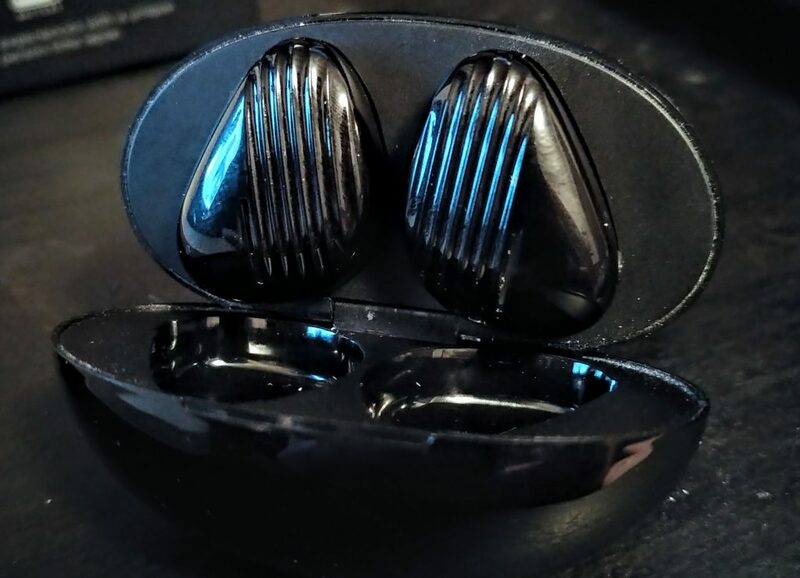 These earbuds use a technology called NMFI (Near-Field Magnetic Induction) to maintain a connection between the two earpieces, but the positioning of the antennas means you need to have the earpieces in just so to maintain that reliable connection. According to Optoma’s documentation, the BE Free 8 sports a 4 hour battery life – unsurprising, given the small profile of the earbuds. In addition, the charging case offers three more charges for a total of 16 hours of play on a single case charge – not bad at all. One thing I would like to see is the ability to plug in your phone to the case and use the case as an external battery – this kind of goes along with the Type-C connection I mentioned earlier, eliminating the need for a second port. At $149.99 on Amazon, the BE Free 8 is pretty pricey, on par with Apple’s AirPods. While I personally think that’s overpriced for a pair of earbuds, the impressive amount of technology crammed into these buds may sway others. With NFMI, an included charging case, and near-complete freedom from wires (give us a Qi-chargeable charging case! 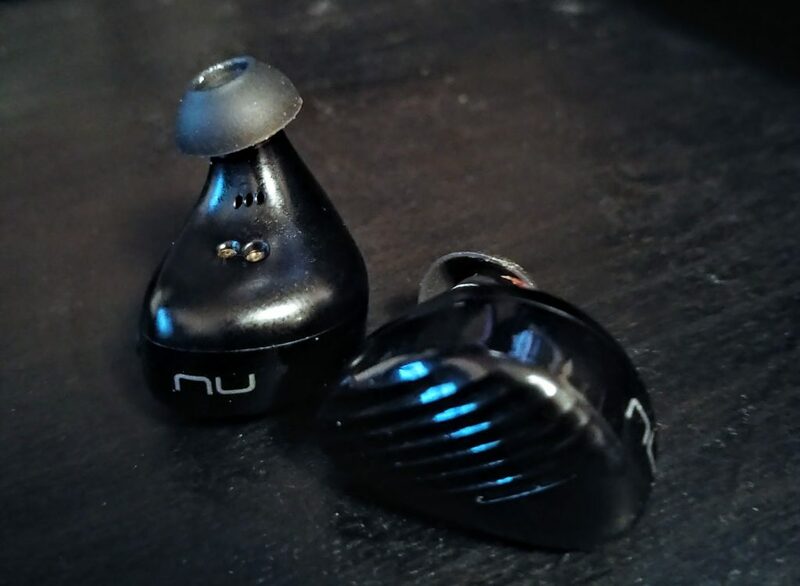 ), Optoma’s NuForce BE Free 8 is a fantastic set of earbuds that nonetheless falls prey to the limitations of other first-generation truly wireless earbuds. Not a bad foray for truly wireless earbuds by Optoma. At $149.99 they are a bit pricey, but the performance, included charging case, and NFMI technology may make it worth it.